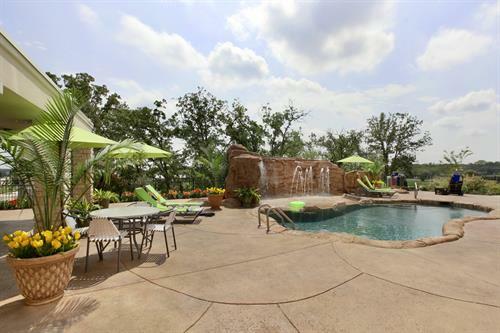 Exit 463 off of I-35. 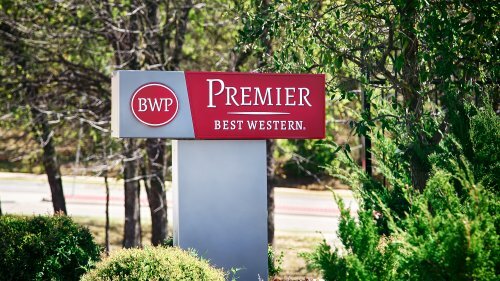 Driving North, turn on Brinker Road beside On The Border Driving South, turn left onto Loop 288, and turn right on Colorado Blvd. 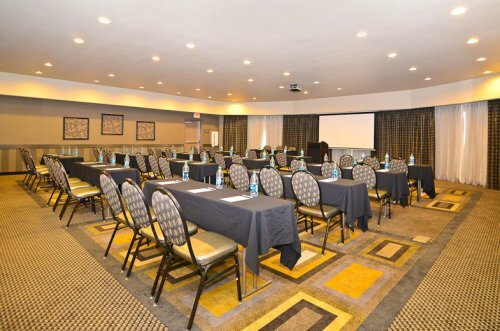 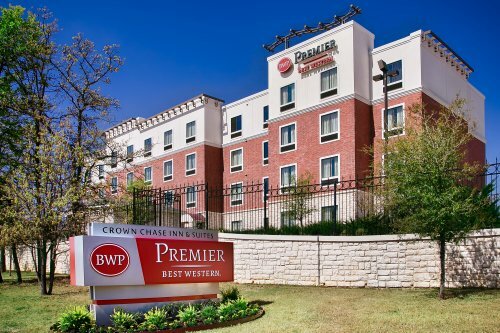 Best Western Premier Crown Chase Inn & Suites in Denton, Texas boasts superior guest rooms and 1,781 sq ft of meeting space. 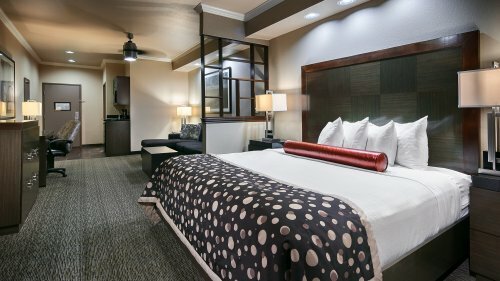 With both the University of North Texas and the Texas Woman's University both calling Denton home, the city is known as a college town, and has a rousing night-life that features a vibrant music scene. 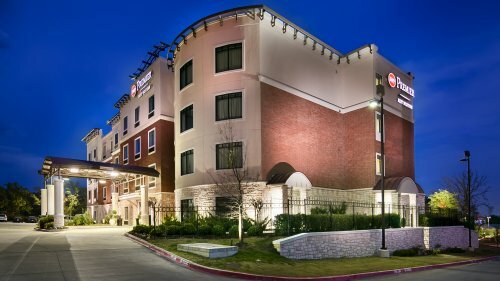 Conveniently located off I-35E, our location north of the Dallas-Ft Worth metroplex provides easy access to both DFW Airport and Love Field. 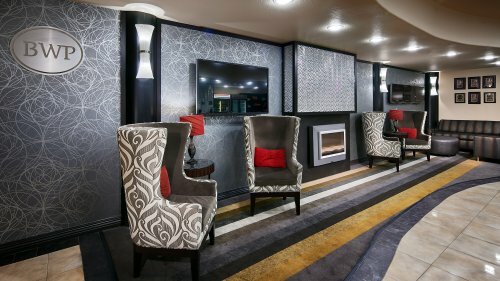 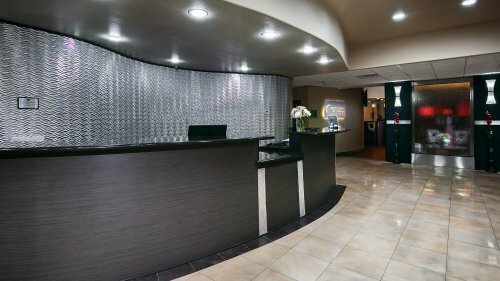 Ranked as the #1 hotel in Denton by TripAdvisor with over 750 ''Excellent'' reviews, guests are immediately welcomed by a spacious modern lobby filled with beautiful textures and colors in a setting where you will want to linger and relax. 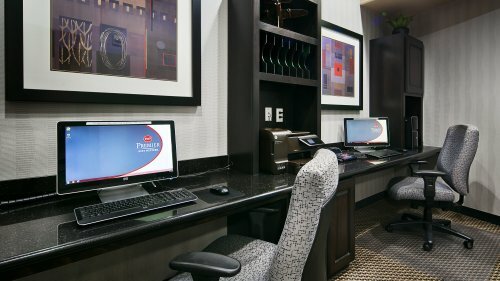 All guests enjoy free high-speed internet and free parking. 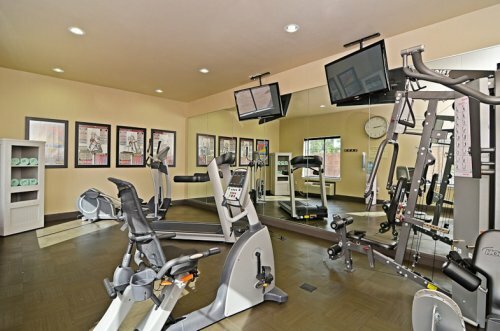 Whether you want to work or work out, both our fitness center and business center are open 24-hours for your convenience. 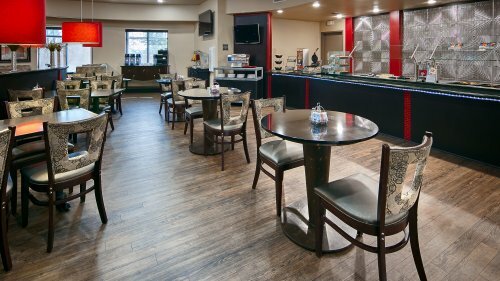 If you forgot an item, or just get a snack, our sundries shop is open 24-hours. 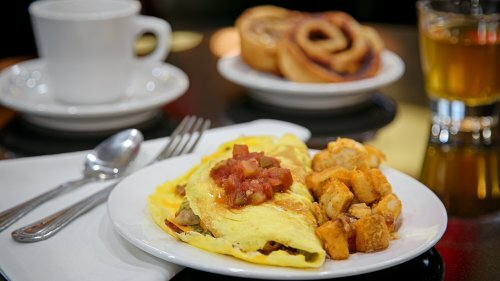 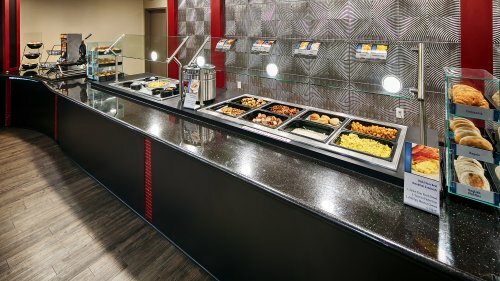 A free breakfast is served each morning that includes made to order omelets, waffles, eggs, fruit, yogurt and coffee. 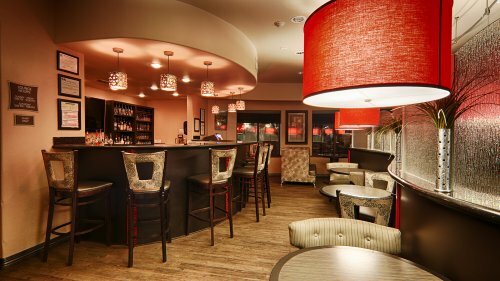 Chasers Lounge is the perfect place to end your day, featuring a full bar and light fare food with views overlooking our tropical pool area and waterfall. 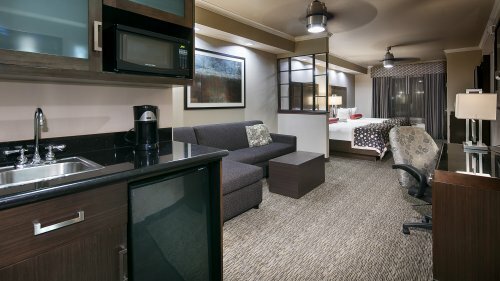 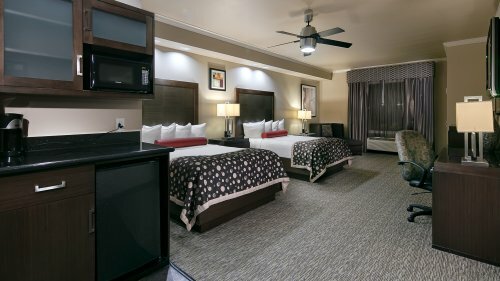 Each of our spacious guest rooms includes free high-speed internet access, an in-room safe, microwave and refrigerator. 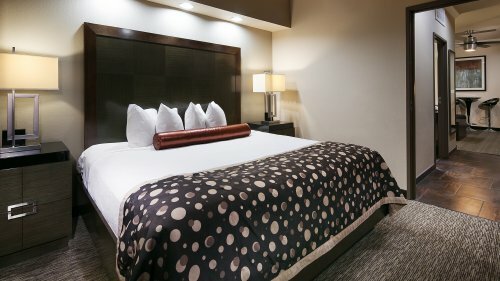 Pillow-top mattresses and a selection of pillows help ensure you get a good night's sleep. 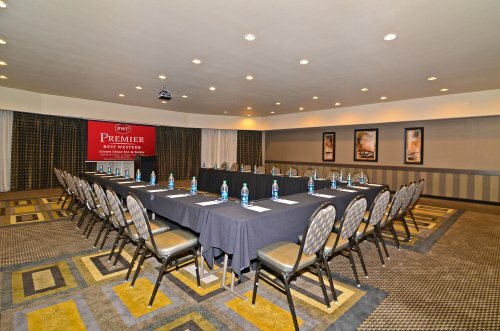 Special events at Best Western PREMIER Crown Chase Inn & Suites are a breeze. 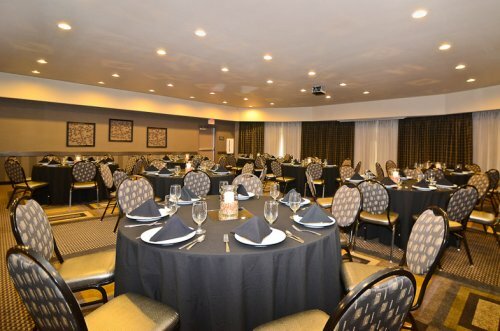 We have everything you need for a successful event from linens, dinnerware, and catering services.